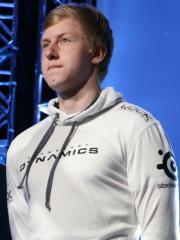 Fabian "GunGFuBanDa" Mayer is a German StarCraft II player. GunGFuBanDa is currently ranked #2874 in highest overall earnings, and #115 in highest earnings for players from Germany. Before his 18th birthday, GunGFuBanDa was awarded $26,117.94 in cash prizes from 47 tournaments. 90.13% of his total prize money was earned before April 23, 2016. The largest cash prize that GunGFuBanDa has been awarded from a single tournament was $8,000.00 from WCS 2015 Season 3 Premier on September 13, 2015. His 5th-8th place finish makes up 27.61% of his total prize money won. GunGFuBanDa has won $315.20 in prize money from 2 tournaments within the last 90 days, none of which came in the last month.